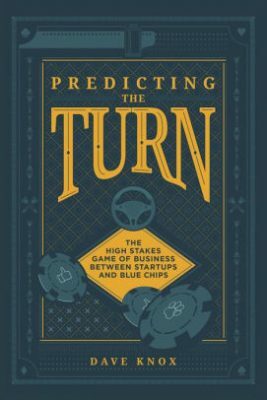 Dave Knox, Grand Prix winner of the WPP Atticus Award for his book “Predicting the Turn: The High Stakes Game of Business Between Startups and Blue Chips” (Paramount Marketing Publishing, 2017), will visit Syracuse University to share his insights at a book talk and signing on Tuesday, Sept. 18, from 10-11 a.m. in the Peter Graham Scholarly Commons in E.S. Bird Library. Knox will discuss the new high-stakes game between disruptive startups and Blue Chip companies, teaching attendees how to foresee the future, especially in an era of accelerated change. The event—co-sponsored by the Blackstone LaunchPad and the Whitman School—is free; light refreshments will be served. Those interested in attending should R.S.V.P. to LaunchPad@syr.edu. Individuals requiring accommodations are asked to contact LaunchPad@syr.edu at least one week prior to the event date. While visiting the University, Knox will also speak with entrepreneurship and emerging enterprises classes and visit the campus entrepreneurship club. Knox is an expert at disruption and innovation. 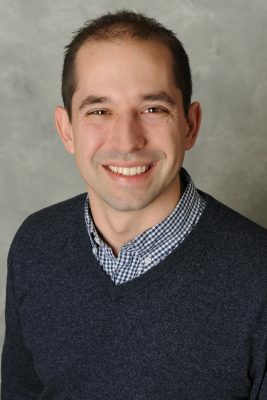 His book has been hailed as the rulebook on how to compete with a new breed of competitors playing the game by an entirely different set of rules. As a brand marketer, venture investor and startup advisor, Knox provides insight into the changing relationship between startups and Fortune 500 companies. He has been hailed as a global thought leader in digital transformation, marketing innovation and how to meet inevitable disruption head-on—particularly if big companies develop startup-thinking skills. A veteran of Procter & Gamble, managing director of WPP Ventures, CMO of Rockfish, co-founder of The Brandery venture accelerator, startup advisor, blogger and author, Knox frequently contributes to AdWeek, Forbes, iMedia, AdAge and Entrepreneur. Those interested in more information on Knox should check out an informative Q&A he did with Forbes last year.